24 Hour RCJ – Indio Bail Bond Info: 855-414-2245. 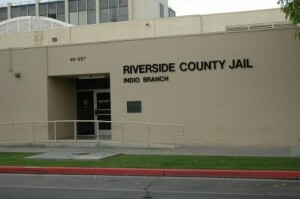 The Riverside County Jail in Indio is administrated by the Riverside County Sheriff’s Department. It houses inmates who are awaiting their first arraignment in court as well as those who have already been convicted and are serving their time. Those who are awaiting their first arraignment in court are typically eligible for release on bail. If you want to visit someone at the Riverside County Jail – Indio, it is important that you know which area of the jail they are housed, as each area has its own visitation schedule. It is best to refer to the Riverside County Jail – Indio Visiting Hours website to see a complete list of times, or to call the visitation line at 951-341-8888. Remember to call between 9:00 am and 5:00 pm at least one day prior to the desired visiting date to schedule your visit. When someone is first arrested and taken into custody, they will be transported to the police or sheriff station closest to undergo the procedure known as booking and processing. During the booking process, photographs and fingerprints will be taken and a background check will be conducted. The entire process can take anywhere from 45 minutes to 4 hours or longer, depending on how busy the jail is. Once completed, bail will be set for those who are eligible. Once bail has been set for an individual, it is possible for someone to begin the bail bond application process in order to get them out of jail. This bail process begins by calling us and speaking with a licensed, professional bail bondsman. We will ask you a few short questions in order to locate your friend or loved one and verify their eligibility for bail. The information required may include the arrestees full name, birth date and date and time of arrest. Once they have been located and their eligibility for bail verified, the signer will need to fill out the bail bond application forms and the bond paid for. After that, a bail bondsman will be dispatched to the jail in order to secure the release of your friend or loved one. Thanks to modern technology, there is no need to meet face-to-face with the bail bondsman. The entire bail bond application process can be completed from start to finish from the comfort of your own home, or wherever you may be, via phone, fax or email. We accept many forms of payment, including: major debit/credit cards (American Express, Visa, Discover and Master Card), cash, business or personal check, money wire, money order and bank account transfer. We are also happy to provide several flexible payment options for those who would like to finance their bail bond. We design our payment options in order to fit just about any budget. If you want to begin the bail bond process immediately, or simply get some questions answered via our free consultations, then call us any time at 855-414-2245. We’re here to help.